Sports events in Los Angeles are plentiful; Los Angeles Lakers, UCLA Bruins, USC Trojans, Los Angeles Dodgers, Los Angeles Angels, Los Angeles Clippers – that’ why the next time you travel in groups to see your favorite team play, book the Los Angeles Freightliner, Party Bus Limo, International Black Party Bus, or Ford 650. These fleets are equipped to passengers up to nearly 30 people – plus plenty of room for storage for a tailgate party. Sporting events are easy to get to with the right vehicle. Skip traffic on the freeways, expensive parking, and coordinating a meeting spot with your friends. 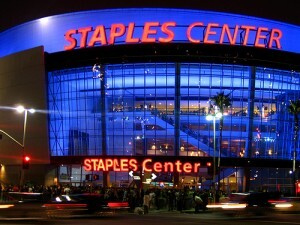 Instead, book the LA Party Bus to the Staples Center, Dodger Stadium, Angel Stadium, and more. Los Angeles Party Bus serves the Los Angeles County, Ventura County, Orange County and San Bernardino County. The LA Party Bus also serves cities including, Semi Valley, Sun Valley, North Hollywood, Van Nuys, Reseda, Northridge, Burbank, Studio City, Encino, Woodland Hills, Tarzana, Glendale, Pasadena, Arcadia, San Gabriel, Alhambra, Mission Viejo, Anaheim, Orange, Irvine, and more.